By Mustaza Mustafa in Desktop. Updated on April 26, 2018 . 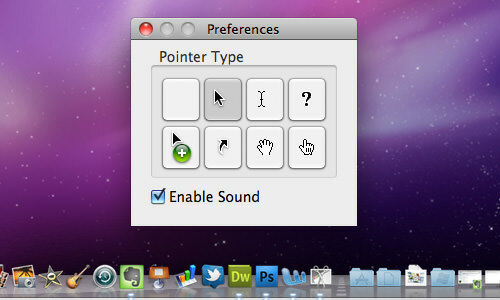 [Mac only] Have you ever wanted to have your mouse cursor captured in your screenshot but could never make it happen? If you haven’t noticed, whether on a Mac or PC, every time you capture a screenshot, your mouse cursor cannot be found. Give it a shot. If it is necessary to have the cursor in the screenshot, some of us may choose to edit the cursor in, which is a tad bit of a hassle. Why not just have the cursor snapped in together in the screenshot? In this tutorial, we will show you how you can utilize a Mac tool to add in your mouse cursor, without installing any application or editing your photo. 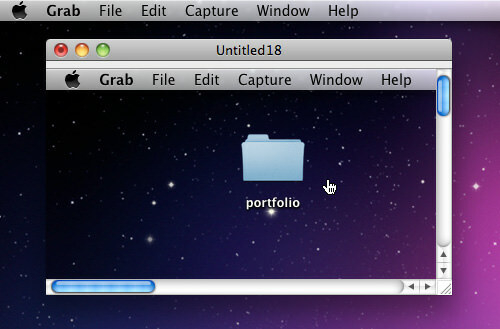 This tool is called ‘Grab’, and it’s a screenshot utility already available in your Mac. To start using Grab, go to your Applications > Utilities folder, look for ‘Grab’ and launch it. Click on ‘Preferences’ to select your mouse pointer. When you click on ‘Preferences’, a new window will pop up with a selection of pointer types you can use for screenshot purposes. Select the type of your choice. Check the ‘Enable Sound’ to hear the screenshot capture sound effect. Now that the mouse pointer is selected, go to the ‘Capture’ tab and click on either ‘Screen’ or ‘Timed Screen’ since these two options work best to capture the mouse cursor in your screenshot. When ‘Screen’ is selected, a new window will appear to guide you on your screen grab. To start capture, click anywhere on your window area. This guide window will not appear in your screenshot, and your mouse pointer will appear as selected earlier. When ‘Timed Screen’ is selected, another guide window will appear and you will have 10 seconds to prepare where you want to place your mouse pointer. Click on the ‘Start Timer’ and position your cursor where you want it within 10 seconds. After a screenshot is captured by Grab, a new window will appear with a snapshot showing your result. Alternatively, if you want to copy the image and save it elsewhere, click on ‘Edit’ and then ‘Copy’ and just paste it elsewhere. Capturing a screenshot has never been this easier. No more hide-and-seek with the elusive mouse cursor. Without even installing any application, you can get your cursor in a good screenshot.